The plan has attracted praise from the left for its bold ambitions. That is, at best, half true. The plan contains too little prescription in areas where it’s needed, avoiding any mention of the need to expand nuclear power, increase population density in cities, and cap pollution. At the same time, it contains far too much prescription in areas where none is needed, using the Green New Deal as a platform to add in unrelated proposals for free college, a job guarantee, and other ideas that motivate progressives. A more realistic account is less sinister. Ideology is a tool people use to make sense of the world. Presented with a gigantic problem like climate change, people who believe capitalism is the root of all problems will naturally and earnestly gravitate toward solutions that require dismantling capitalism. A few years ago, Naomi Klein wrote a book laying out the case for why climate change required a revolutionary attack on global capitalism. 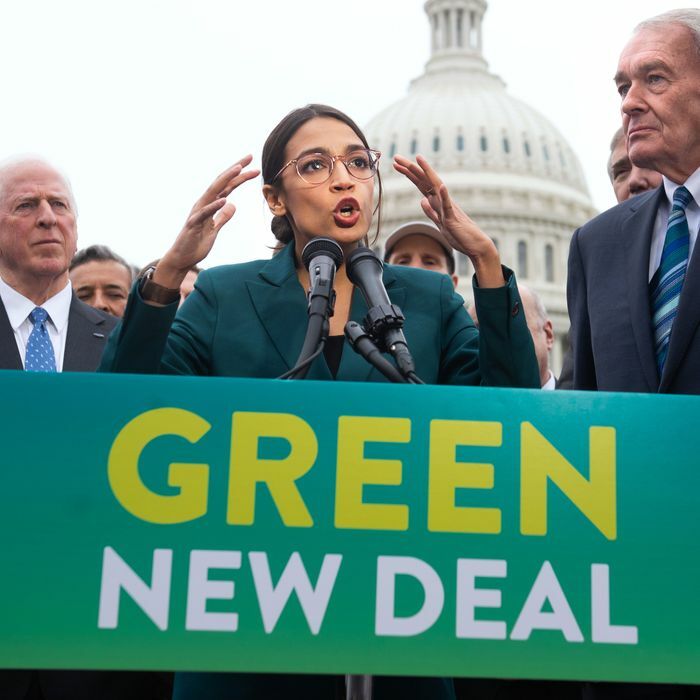 Her argument, while deeply flawed and frequently self-contradictory, anticipates the Green New Deal’s ideological character. Klein not only disdained the value of using prices to efficiently allocate the cost of greenhouse gas emissions, she celebrated the defeat of the cap-and-trade bill in Congress as a victory for real climate progress against the sinister forces of neoliberalism. If you believe, as Klein does, that the only path to saving the planet lies in broader economic change, then it makes perfect sense to wrap the cause of climate change tightly to socialism. But the vast majority of the Democratic Party does not believe this. And if doing anything meaningful on climate did require quickly enacting Bernie Sanders’s wish list, then we might as well give up, because nothing like that is going to happen in the next presidential administration. Other than a handful of socialists in Congress, the Democratic Party remains overwhelmingly moderate and liberal, not socialist. You may have heard the old joke: We must do something. This is something. Therefore, we must do this. For the moment, some version of this logic is the best rationale for the Green New Deal. Democratic presidential candidates need to start thinking about how they can avoid getting stuck with it as their platform against Donald Trump. That means coming up with some better climate change plans, fast. 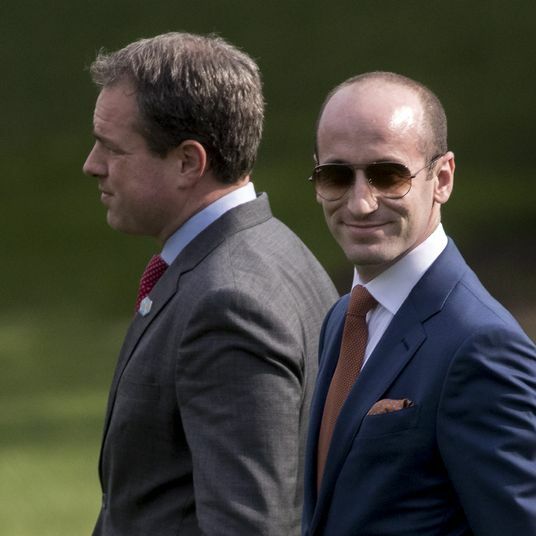 Republicans Are Going to Try the ‘Red Scare’ Strategy in 2020. Will It Work?